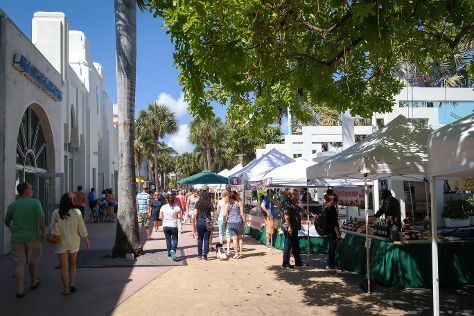 Attractions like Lincoln Road and Fort Lauderdale Beach make great kid-friendly stops. 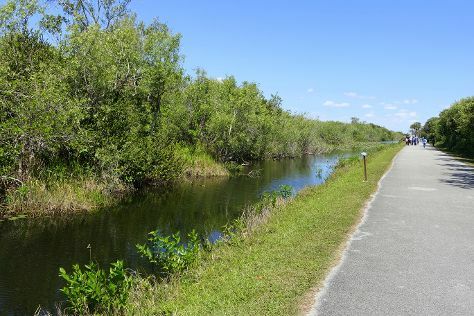 Venture out of the city with trips to Ski Rixen - Deerfield Beach (in Deerfield Beach), Homestead Historic Town Hall Museum (in Homestead) and Everglades National Park (Anhinga Trail & Gumbo Limbo Trail). Spend the 26th (Sun) airborne with a parasailing or paragliding tour. And it doesn't end there: see the interesting displays at Vizcaya Museum and Gardens, get to know the fascinating history of Art Deco Historic District, stop by Perfect Gifts South Beach, and enjoy some diversion at Lock & Load Miami. To find other places to visit, photos, reviews, and tourist information, you can read our Miami Beach trip itinerary planning site . In May, daytime highs in Miami Beach are 87°F, while nighttime lows are 74°F. Finish your sightseeing early on the 27th (Mon) to allow enough time to travel back home. Perez Art Museum Miami has been added to your itinerary. Kick off your visit on the 28th (Tue): stroll through Fort Lauderdale Beach and then admire the masterpieces at Perez Art Museum Miami. Keep things going the next day: see the interesting displays at Vizcaya Museum and Gardens and then look for all kinds of wild species at Shark Valley. For other places to visit, photos, and tourist information, read our Miami trip itinerary maker site . Miami is just a stone's throw from Miami Beach. In May, daily temperatures in Miami can reach 87°F, while at night they dip to 74°F. Wrap up your sightseeing by early afternoon on the 30th (Thu) to allow enough time to drive back home.